Politicians love issues that get voters upset and they use them to attract votes. One of those is the cost of drugs and the evil, greedy pharmaceutical industry. People think they’re being ripped off when pills cost more than a few cents each, and some enterprising politician will likely use that issue to his or her advantage. You can make the argument that a drug that is effective in treating a serious medical condition is worth whatever it costs, but that argument often collapses when someone thinks about how a bunch of powder formed into a tablet can cost more than a few cents. In fact, pills aren’t expensive to make, so that argument is correct, as far as it goes. But as is so often the case with political issues, there’s a lot more to it. The thing that drives the cost of medicines so high is the enormous up-front costs of research and development, and testing to get the drug approved by the government. 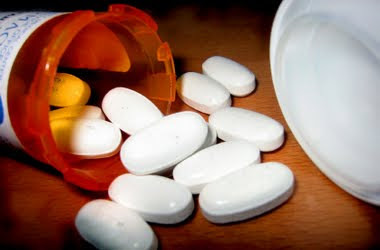 Pharmaceutical companies develop several drugs simultaneously, looking for the right combination of ingredients to most effectively deal with the medical need, and most of these efforts are unsuccessful. According to MedicalNet.com, “it takes an average of 12 years for an experimental drug to [get] to your medicine cabinet … Only 5 in 5,000 drugs that enter preclinical testing progress to human testing. One of these 5 drugs that are tested in people is approved. The chance for a new drug to actually make it to market is thus only 1 in 5,000,” and a U.S. State Department publication says that the cost of developing a new drug varies from $800 million to nearly $2 billion per drug. Okay: one drug in 5,000 actually makes it to market, and it costs between $800 million and $2 billion to get it there. The company has to sell enough of that one drug to pay not only for its development, but also for the development of the ones that didn’t make it through the process, and to have enough left over to finance new research and development. Like other inventors, drug companies patent their ideas. A patent is issued for 20 years from the date of filing, and filing usually occurs early in the development stage to prevent other drug companies from moving in on the idea. If it takes an average of 12 years to get a drug to market, the pharmaceutical company has on average only eight years to sell enough of the drug to recoup the $800 million to $2 billion in development and approval costs, plus money to finance new research. At the end of the patent period, any other drug maker can make a generic form of the drug and sell it for a lot less. Since all the work has already been done and paid for, all they have to do is just make the pill. So, when you do the math for a drug at the low end of the cost spectrum, with development costs of $800 million, produced by a company we’ll call PharmX, you find that if PharmX charges a quarter a pill, it will have to sell 3.2 billion pills in eight years just to break even. If PharmX charges $1 a pill, it will have to sell 800 million pills in eight years, and if PharmX charges $2 a pill, it will have to sell 400 million pills in eight years, just to break even. And that pays for the pill that made it through to the market, but not the ones that didn’t. If PharmX’s costs were $2 billion, those numbers more than double. Another aspect of this issue is when drugs made by US companies cost more at home than they do in Canada and other countries. It doesn’t seem right that Canadians can buy American drugs cheaper than Americans can. But what is the drug company supposed to do when the Canadian government, or another government, wants to buy millions of dollars of its product at lower than market price when it is trying to recoup millions or billions in costs? There are other drugs made by other companies that treat the same disease that these governments could buy instead, so should the drug company pass up that opportunity, leave the millions of dollars on the table, and perhaps suffer financially as a result, while a competitor sells millions of dollars of its product to Canada? It’s a natural reaction to want to punish the “greedy” drug companies, maybe by removing patent protection or shortening the protection period. However, doing something like that puts at risk the continued research and development of new drugs to fight and cure disease, and even if most Americans don’t understand the economics of producing pharmaceuticals, they do understand that American companies produce some of the best and most effective drugs in the world. Let’s hope they also understand that we would be much worse off by tinkering with this process, except to speed it up and make it less costly, and that they will tell the politicians to not to make things worse.